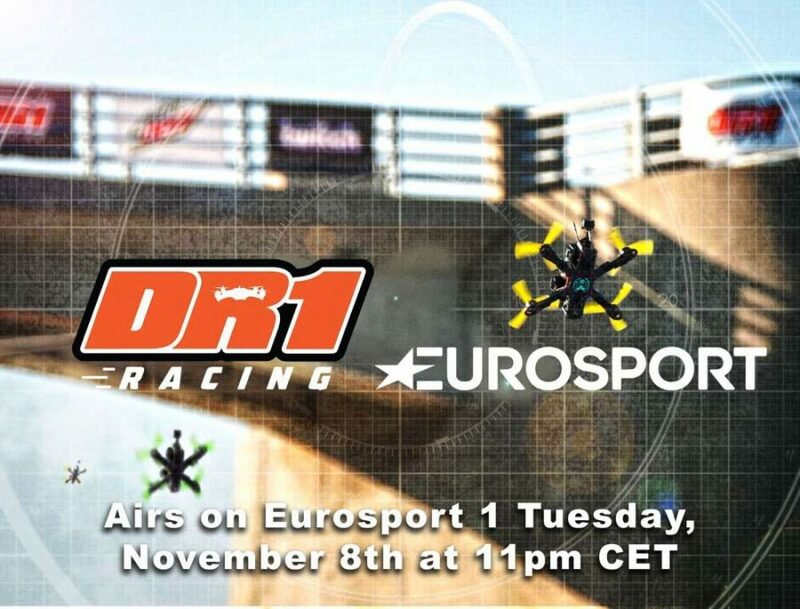 Los Angeles, CA (October 17, 2016) – In an effort to offer fans new and innovative sports entertainment, Eurosport today announced its partnership with DR1 Racing, the leading international drone racing series, to exclusively distribute content for broadcast in 70 countries across Europe and Asia-Pacific. The first episode of the DR1 Invitational from Los Angeles will air on Eurosport 1 on Tuesday, 8 November at 11pm CET. Drone racing, which sees competitors navigate remote control aircraft through complex obstacle courses as quickly as possible, will provide further support to Eurosport’s innovative strategy of showcasing contemporary content, and its ongoing efforts to engage a broad demographic of fans through a combination of the most exhilarating sports on all platforms. Eurosport will televise three additional racing series next year, including the DR1 Champions Series set for debut across iconic global cities in 2017, and the DR1 Micro Series. Eurosport.com, the most visited sports website in Europe, will also host Micro Events and additional video content featuring extra footage, outtakes and interviews with some of the most talented and daring drone racers in the world. Additionally, Eurosport will represent DR1’s sub licensing interest globally (excluding the USA). Stars such as the United States’ Tommy “Ummagawd” Tabajia, Luke “BanniUK” Bannister from the UK and Australia’s Chad “FinalGlideAUS” Nowak are included in the line-up of world-leading pilots that have taken drone racing to new heights. The DR1 Champion’s Series will include multiple elite drone racing teams battling across the globe to crown one World Champion. Eurosport CEO Peter Hutton said: “Eurosport is constantly looking to innovate and we believe new technology, be it Virtual Reality content in our coverage or innovations within emerging sports, is a great driver of engaging fans in sport. It has been fascinating to see the continued growth in popularity of eSports and the way DR1 combines this with the more traditional nature of sporting competition is an exciting model. Brad Foxhoven, Founder of DR1 Racing, said, “We are thrilled to be bringing this exciting sport that combines Formula 1, NASCAR and eSports to an audience as broad as Eurosport’s.